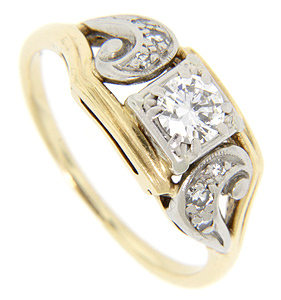 A glittering .35 carat center diamond is set in this 14K yellow gold antique engagement ring. 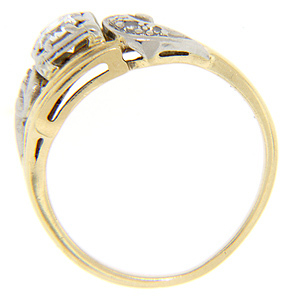 Swooping designs set with diamonds and accented with white gold ornament the ring’s shoulders. The ring measures 7.9mm in width. Circa: 1930. Size: 6 1/2. We can resize.